Maurice "KheZu" Gutmann is one of those players that's widely loved by the Dota 2 community. He's been a crowd favourite ever since he bloomed into the scene in Synderen's team where he got his first big chance. 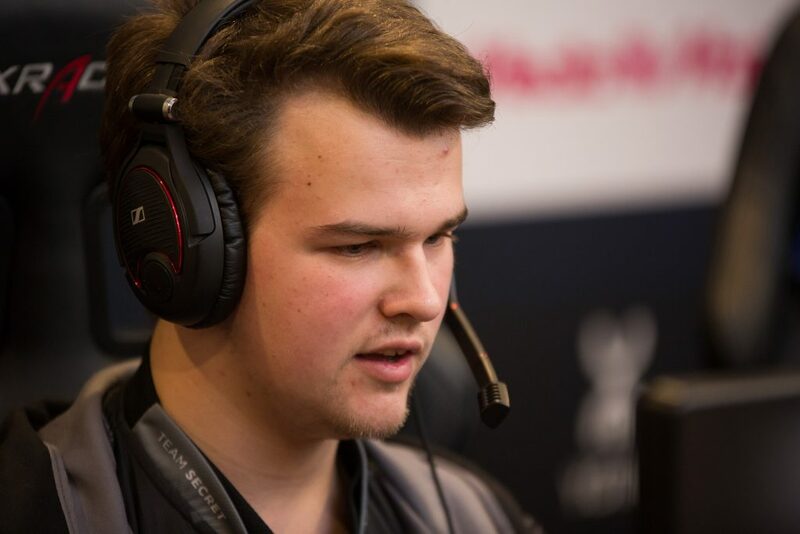 Khezu then went on to play in Team Secret under Clement "Puppey" Ivanov's leadership as well as under Rasmus "MiSeRy" Filipsen. He talks about how Synderen, Puppey and Misery have influenced him as a person and as a player, how Blink Pool was formed and how it eventually fell apart, how he felt TI8 went and his disappointment on missing out his first TI ever since he's started playing, the mechanics of the game and much more. Hi Khezu. Let's start right off the bat. What did you think about TI8? Kindly give us a brief summary from the perspective of a player and spectator. Hi! 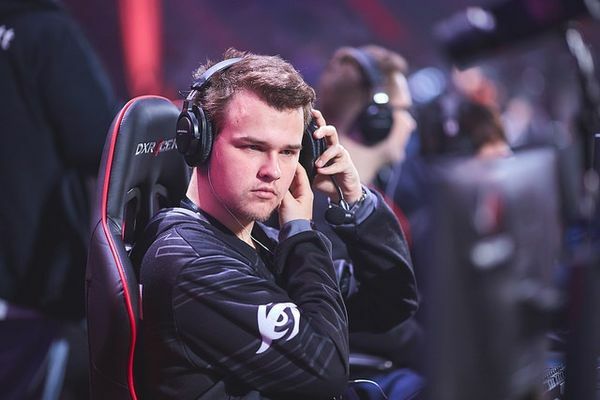 Overall, I think TI was once again very interesting and awesome to watch, both as a player sitting at home, but surely also as a spectator live at the venue. There were a few upsets, a couple of heroes were picked in an interesting (Some offlane treants, wyverns). And of course, OG making it all the way was awesome to watch, kind off like a fairy tale story. As a side note, it was the first TI, since I've been playing, that I missed. I only understood a few days before TI actually began, how much it sucked and how sad it made me, so as a professional player, to only be able to watch it, but not compete, is kind off heartbreaking. May I ask what made you think that a couple of heroes were picked in an interesting manner? For example, iceiceice played Winter Wyvern as a core a couple of months back. I'd love to get further insight on this topic. For example OG, they played offlane treant. I'd seen this strategy from them before, about a month ago or two. But it's not just some random off-lane Tree, he enables certain heroes. They had an MK mid, and a safe lane Spectre, both heroes who can use Living Armor incredibly well. It amplifies MK's laning stage even more, and it solves one of the few problems in Spectre's laning phase. The hero plays very well when he has sustain with him in the lane (that's why during the TI EU qualifiers) there was an insane amount of Spectre + Warlock, Spectre + Witch doctor. Let me see, there were 1 or 2 more heroes that I thought were picked nicely .. ah yeah, IO + Gyro made a comeback which surprised me, at least a little bit. The Chinese busted it out right in the start of the tournament, they basically can farm the whole Map and enable/amplify the gyro a lot, while still being able to fight and hit his timings earlier and stronger. Interesting. As you said, this is the first TI that you've missed since you started playing. For TI8 qualifiers, you played in BlinkPool (previously Five Dogs) with Misery, Madara, Saksa and Keyser. How did this team come to fruition? Uhm long story short, Madara and I were in Madlads, when EG kicked Misery. That whole thing obviously started a lot of things, for instance the whole S4 and Fly thing. Anyhow, Madara messaged me one evening talking about the possibility of teaming up with Misery & Saksa, then we had to find a mid player, I had suggested 1-2 names but ultimately we went with Keyser who Saksa had played with before. It was a very short term decision & it wasn't a long lasting team, as we only made the team shortly before the TI qualifiers, and as most teams, we took a break/disbanded after being unable to qualify for TI. Does that mean you're currently without a team? That's correct, I'm currently team less. As of now I'm trying to figure out what to do, there's 2 options. I make my own team, and I'll be the captain of it. Trying to figure that out right now. I'm sure you'll do good on that front. So far you've worked under three influential captains, namely, Synderen, Puppey and Misery. How has the experience been under them and what have you learnt under each of their guidance? That's correct. Synderen was the one first one to give me a chance, when it comes to competitive Dota 2. I'm still very grateful towards him for that. I learned a lot of my fundamentals from him, some communication things & of course overall drafting, mind you, I was still very new at that point, I had just switched from HoN, and had about a few months of Dota game-play under my belt. I learned more in-depth things later on from Puppey, but of course I was also better and slightly more experienced then, meaning there weren't thaaaat many fundamentals things I did wrong anymore. I learned A LOT about drafting from Puppey, how to control the map and which areas to protect, which towers to prioritize and why, certain laning aspects, about pulling, pressuring my enemies and overall just seeing a good captains attitude. A strong captain/leader type of attitude, you know? In a good way. About Misery, we only played for a very short amount of time, I wish it lasted a little longer, but sadly we didn't qualify to TI. Anyhow, he told me about some strategies/ideas overall about Dota and how to properly defend under a tier 1 tower. That's actually very informative. Is that why you try to pass it on to your viewers when you stream? Well, it depends, there are some things that I can't pass on or just strictly won't, because there's some information that I rather keep for myself, since I still have use for it in my games, and when I compete. But all the non super high level things, and more general things, I'm more than happy to share. Overall to just make DotA games better, and perhaps try to increase the overall understanding of players, there aren't many guides about movement, towers, vision and so on. A lot of these things are developed individually by players, simply by their feeling, if they feel good about it in the game, they'll do it, perhaps with no bigger picture behind as to why. Even back in HoN when I streamed there, a few years ago, I'd usually talk about my plays, and try to give some tips here and there about heroes, areas, movement, etc. It's time for the great roster shuffle and as we speak many teams are already undergoing roster changes. Have you received any offer as yet? Also, how do you view roster shuffle in general and what do you expect from different regions regarding the same? For example, which aspect do you think regions like SEA, NA, EU, CIS will focus on as to complete a roster? I've received some offers here and there, nothing too crazy, but a few that are worth thinking about. Well the shuffle in general is a very hectic time of the year. I think it's becoming more and more apparent that you should pick up at least 1-2 new blood, aka newer players/pubstars. Many teams have success with picking up players that aren't veterans, but rather fresh and don't have too much experience, they can bring a new view and overall change the way a team functions. I think most regions will try to do something like, have a captain, unless you think most of your individuals are capable of saying/knowing what has to be done at what part of the game, I think throughout the game different positions should speak up, for example I'm very used to talking about early moves, and throughout the mid/late game, at least a lot when it comes to movement/what fights to take/where to be and so on. That being said, how would you describe yourself as a person and as a player all the way from your time at Team Secret and at present? Uhm, I think I'm a pretty positive person and overall try to have fun most of the time, I respect certain people very much, sometimes perhaps too much. As a player, especially back in Secret, I think I held back quite a bit, because I wasn't very confident in my play or my belief of DotA and certain ideas that I had floating in my mind, I believe now I'm able to take more initiative, to be the player I should and want to be. I also definitely improved throughout my time in Secret, and the past year where I played in a few teams and lately overall just by reflecting my own play. You mentioned in a tweet of yours about certain nerfs being made to items and mechanics like "Denies, health regeneration, Aquilla, quelling blade, etc". Tell us more on this topic. Yes, there are certain things in Dota that are too strong, in my opinion at least. I usually have a good feel about certain things being too strong, some items, some spells and what not. Long time ago for example Enfeeble, the bane spell, just fundamentally overpowered. It lasted 20 seconds level 1, and reduced your damage, but that wasn't the thing that was overpowered about it, it still cannot be dispelled. Spells/Items that have no way of counter playing are very unique and need to be carefully balanced. Anyhow, in terms of denies, I just think the numbers are too crazy right now. You only get 25% of the XP if the enemy denies a creep, and the enemy also gets 25% XP for that creep. Those numbers are insane. You could up the XP gain to 40% (to the player being denied) because right now Dota is a lot about laning, and a little bit stale, at least in my mind. Then short explanations for the other things that are too strong in my opinion. Ring of Aquila, simply overbought and overpowered item, it could easily lose 3+- damage and it would still be bought nearly the same amount, I think the values are still from the old Wraith band, which gave like 3 6 3 stats +3 damage. I just think it's too good. The value's are too high. Quelling blade, in a meta like this, where denies are so damn important, buying a quelling blade on a melee hero, does not only increase your chance of getting the last hit, and securing gold, but it also makes it harder for the enemy to deny creeps, which also indirectly should grant you more experience. It's 24 damage for 200 gold, and you can sell it later on in the game, once again, the numbers are too high in my opinion, it could be +20 damage, and the item would be seen just as much. Health regeneration overall, slightly overlooked but overpowered, especially if we ever reach a 5 man META it would be super obvious. Aura stacking, such as Helm of dominator, Mekansm/Guardian Greaves, Vladimir Offering/Headress and so on. HP regeneration from items as well, is incredibly high. With the 'recent' changes they did to how it works, I'm fairly sure the Ring of Health (850 gold) item that's supposed to give you HP regeneration, is more valuable now than it used to be in the past. And an item like Blademail, we saw it's popularity rise quite high during TI, a very strong item, that is just now starting to get it's recognition, apart from the very usual heroes (Axe, LC) etc. it's 2.2k gold, and not only gives you great stats and an easy buildup, but also a crazy good effect. The most interesting nerf points I found out to be was that of Buyback and adding one more ban to Captain's Mode. Care to elaborate? To elaborate on the buybacks: A huge reason why LGD didn't win TI is because they do not use their buybacks well. I know, I didn't play at TI, and they got to the finals, I'm envious, I don't mean this as flame, but quite frankly, their usage of buybacks were abysmal and lead them to lose multiple games. Where as a team such as OG used buybacks very well, or even Secret I do believe, if I remember correctly. Buybacks right now, compared to what it they used to be, the cost now depends on how farmed you are. It's most likely more expensive for your position 1/2, depending how farmed they are, and cheaper for your 3/4/5 (on average). So not only are they cheaper for the majority, but the repercussion is close to none, apart from having it on cool down, of course. You used to only gain 20% of gold after you've bought back, until the 'death timer' was over, at least I believe that's how it worked (with the timer). So now if you buyback, and you get a kill, you've already got all the gold back, and it costs way less money for your heroes to use one. That's why right now you see way more buybacks being spammed here and there, especially by your non-position 1/2 heroes, because suddenly you can win these fights, with a small amount of gold being used, and if you do end up winning, either the heroes get their money back, and experience, or you're able to pump more XP/Gold into your other heroes that haven't bought back, or take Roshan or objectives, you get my point. It's even underrated to buyback vs Necro's early level 1/ or fast level 2 Scythe. As it adds on your re-spawn. Valve usually changes the captains mode drafting order every now and then, I thought for a while that it's a little imbalanced, but mainly it's the teams preference, depending on what they prefer (first pick/second pick). There was one thing they implemented where second pick gets the last ban, of the second phase, into picking their hero right after, which helped. Something I thought about a little bit, is making the first phase pick order to be 1-1-1-1, or potentially adding a 2nd ban to the last phase, with so many 'cheese' appearing, and overall people getting a better understanding for Dota. But these are just small things that I haven't put too thought into. Well, give us your view on the new DPC season. I think the new tournament system seems great, especially because I do think Valve didn't fully achieve what they had hoped for, in the last year's DPC. They wanted to help establish the tier two scene, giving people a chance to grow, and show themselves, having some tournaments where some of the top teams don't take part in, but that didn't happen that often. But now, top teams that qualify to the major, cannot play in the Minor qualifiers, meaning there'll be slightly more slots for the tier 2 scene, at least from my understanding, of course direct invites are gone, meaning there are more teams needing to qualify, but yeah. And about the rosters, I don't know how it'll work yet, maybe leave that one out, as far as I know you can swap during the season, but you'll lose points, which is interesting, but I don't think roster locks were that bad, perhaps if they adjusted the timings of them just a little bit. That's a wrap. I wish you all the best in your future endeavors. Is there anything you'd like to say? Thank's for having me, and overall, just thank you to all the people that believe in me & in my play, and to my viewers and all the supporters on my stream, it means a lot to me, and I'll be trying my hardest to make it to the next TI again as a player. Image Credits: Liquipedia, dota2.ingame.de If you would like to know more about my work, you can follow me at KarY. Do you consider Battle Royale games an esport?